Website design HVAC companies Peninsula VA | Another great web design by VISIONEFX. This HVAC website design generates online customer leads and support the existing HVAC customers. The website framework is Word Press on Linux hosting server. HVAC Design is located in Newport News, VA. 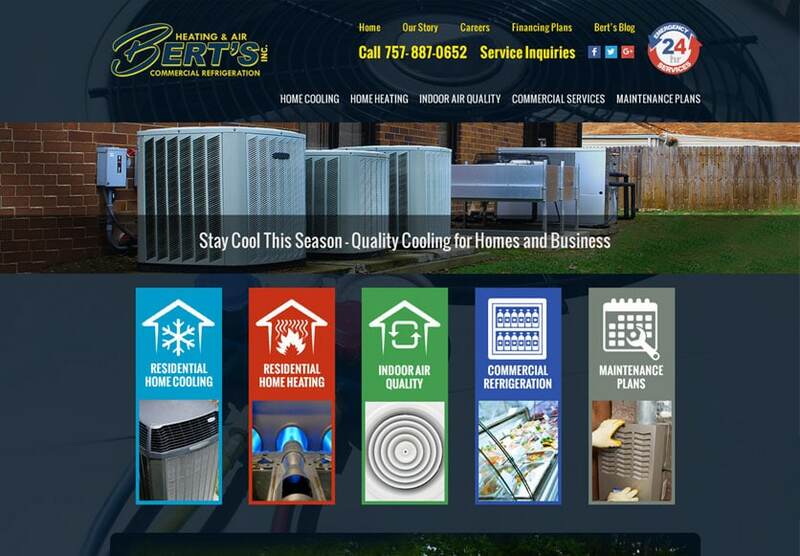 This recent web design Newport News VA project for Bert’s, Inc. provides a competitive branded website presence in a highly competitive space. When searching Web site design, development Newport News, VA look no further than the VISIONEFX web design professionals.